Autumn is here! Kids are back in school, parents are back at work, and the world is back in balance. Though the days are getting shorter, there is still nature for exploring! Arguably, the best time to explore the forests, beaches, and hills of Nova Scotia, is now. Smaller crowds, warm-ish weather, and beautiful leaves all contribute to what can be a spectacular visit to a provincial park. We at AboutHalifax.com poured over 121 different provincial parks and found the seven fit for a fall visit. The details: This park offers panoramic views of the Annapolis Valley which magnify 10-fold through the beauty of the fall colours. 30 campsites are present along with toilets, grills, and wifi(!). Be sure to visit nearby Port Royal and Upper Clements Park. The sun sets over the beach at Five Islands Provincial Park in Nova Scotia. 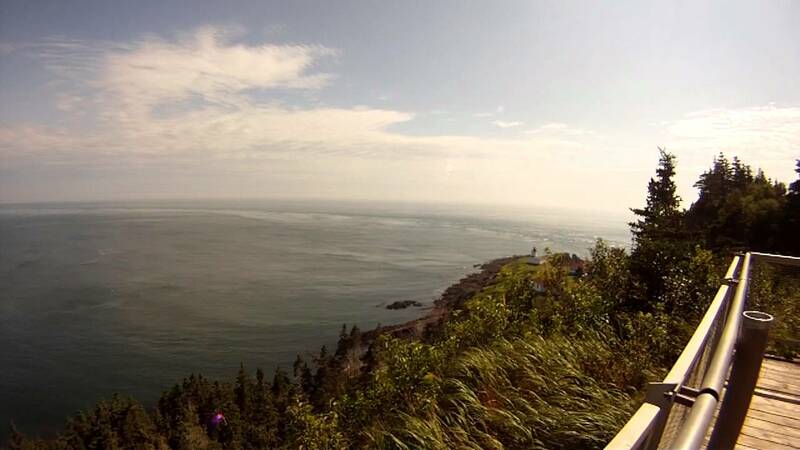 The details: Located on the cliffs of the Bay of Fundy, this park offers hiking trails and camping. The cooler fall weather will bring fewer crowds while the warm water and pleasant daytime temperatures will still be present. Perhaps the best part of the park is the stunning 300-foot cliffs overlooking the ocean. Next, to the park, you’ll find Cape d’Or look-off and the UNESCO World Heritage Site Joggins Cliffs. The details: Because of this parks popularity, visiting Blomindon in the fall provides an escape from the crowds. This provincial park rises over 600 feet and offers everything — from breathtaking views, short and long hiking trails, and overnight camping. In nearby Wolfville, be sure to check out local breweries for pumpkin beer and take in a university football game. The details: In the foothills of the Highlands, you’ll find one of the only provincial parks in Cape Breton which offers camping. A series of hiking trails lead to four different look-offs, all which give you immaculate views of the surrounding Bras d’Or Lakes. The surrounding forests ignite with colour come fall, which makes it the best time to visit. The details: This provincial park hugs the South Shore of Nova Scotia, covering over 1600 acres of the coast. With over 80 campsites, three beaches, numerous hiking trails, and four migratory birds sites, there is something for everyone. The park is situated alongside Kejimukujak Seaside Adjunct National Park, providing more opportunities to explore the nearby terrain. The details: Located in the world famous Cape Breton Highlands, Cape Smokey is the perfect adventure for a fall day. Smokey’s signature hike is an 11-kilometre out-and-back trail that winds the coastline of this magnificent mountain. The path provides a challenge through the final view is jaw-dropping. Once finished, head down to the Keltic Lodge for lobster and a pint of local beer. The details: In one of the most remote locations in Nova Scotia you’ll find this hidden gem. Similar to Five Islands Provincial Park, Cape Chignecto is subject to the worlds highest tides which drastically affect the surrounding topography. The fall will give way to the tourists, allowing you to explore the 40km’s of trails, old growth forests and hidden valleys all alone.